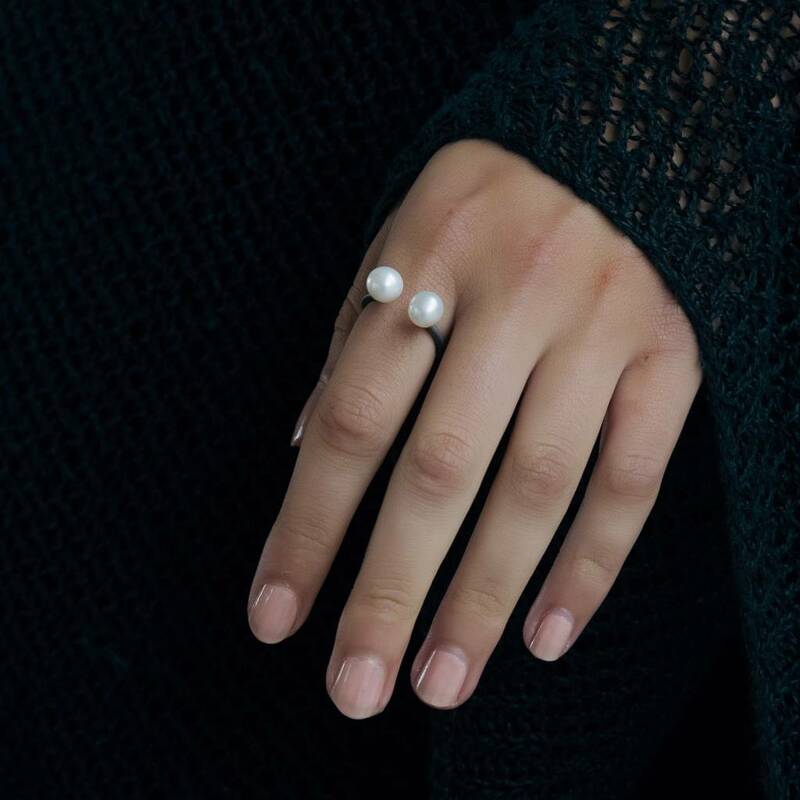 The Pearl Ring is very modern and part of Les Souvenirs jewellery collection. Adorned with two pearls on the top and an open end this ring has a sophisticated look. 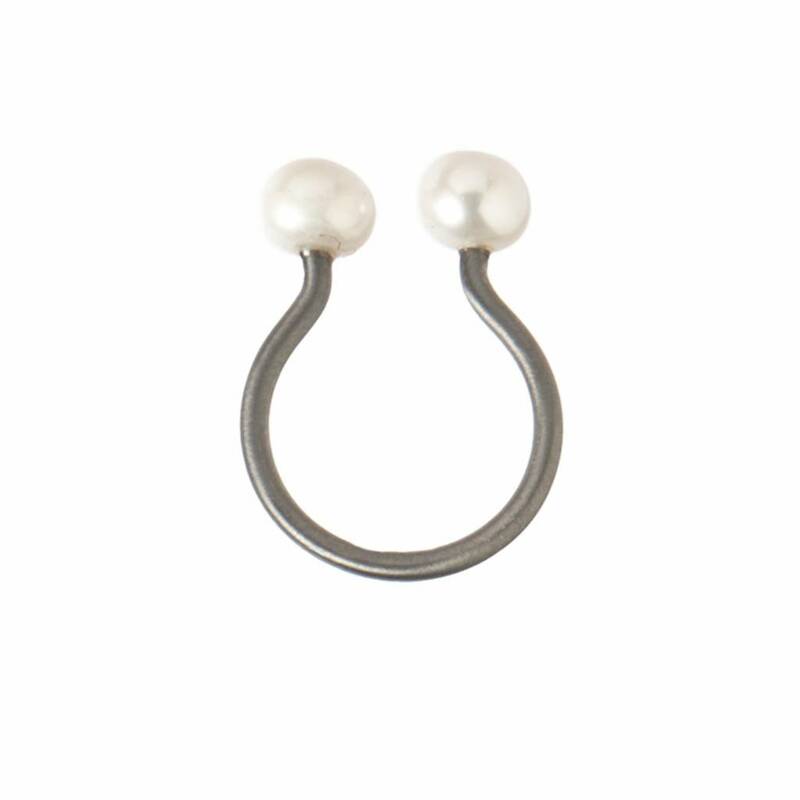 The Pearl ring is adjustable to any size and can be used on any finger.